The Tom Brady diet plan could quite possibly be the fountain of youth. Brady was the 199th NFL draft pick, passed over by every team in the league. The skinny kid nobody wanted. 17 years later he’s got enough trophies to bury an end zone. The oldest non-kicker in the NFL, he’s also the undisputed greatest of all time. Shockingly, the superstar credits much of his success to a meal plan more fit for a supermodel than a Super Bowl champ. Brady shuns bread, pasta, dairy, alcohol, caffeine, tomatoes, sugar, most meat, fruit, fish, salt and strawberries.To find out what he does eat and why, and how it helps him, read on. We’ve pieced together the Tom Brady nutrition plan below from the best info available on the web. So what’s the Tom Brady diet? The table below gives the guidelines in a nutshell, from his 80/20 meal plan to his take on supplements to foods he absolutely won’t eat. It also includes the surprising timing of his meals and his staple foods. Diet is plant-based but not vegetarian. 20% lean protein like chicken, beef and wild salmon. 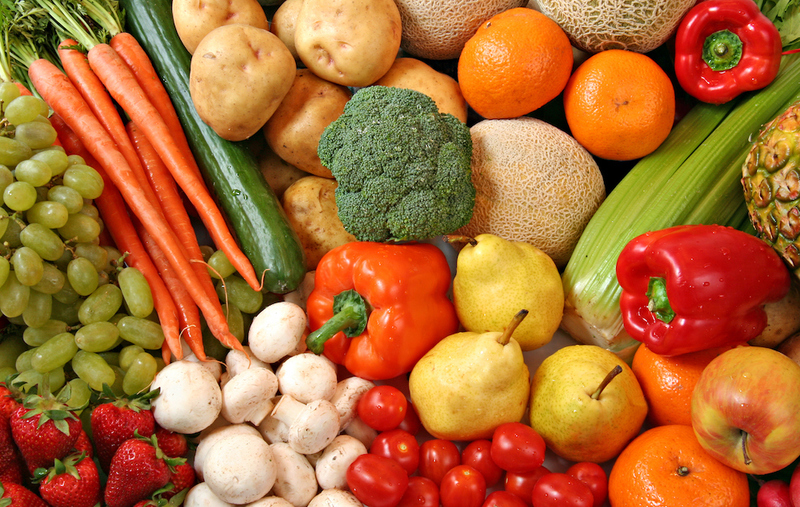 Lots of fresh veggies – no canned, frozen or processed. Staples: Brown rice, quinoa, millet, buckwheat, lentils, beans. Food is cooked with coconut oil only. Biggest meal is lunch. Small meal for dinner. No white sugar, no white flour. Never cook with canola oil or vegetable oil. No nightshades (tomatoes, peppers, eggplant). No soda, sweets, junk food. Very little fruit except bananas, blueberries. We’ll explain all those diet facts below. In a nutshell, they’re geared toward keeping Tom young, keeping his muscles pliable and zapping inflammation so he can keep killing it at an age when most NFL stars are home warming a sofa. Want the fast track to the Tom Brady Diet Plan? Sign up for the Tom Brady meal kit service. As of 4/3/17, anyone can eat like Brady. The meal kits cost $78 per week. They’re made by a plant-based meal service called Purple Carrot, in a partnership with TB12, Brady’s nutrition company. The meals follow the Tom Brady nutrition philosophy. They’re high protein and 100% plant-based. They’re gluten free, low sugar and free from processed ingredients. The Brady meals also look pretty tasty, with options like white lentil risotto with winter roasted veggies or a ramen bowl with nutty brown rice noodles and sweet coconut broth. Tom Brady’s diet is mostly plant-based. Does that mean he’s a vegetarian? No, but don’t expect to see him ripping into cheeseburgers and Flinstone-esque steaks. According to Brady’s personal chef Allen Campbell, the NFL legend’s meals are 80% fresh, organic vegetables, locally sourced and in-season. Another 20% is lean meats like beef, chicken and occasionally wild-caught salmon or fish. Want to dump pounds fast? See if the military diet plan is right for you. 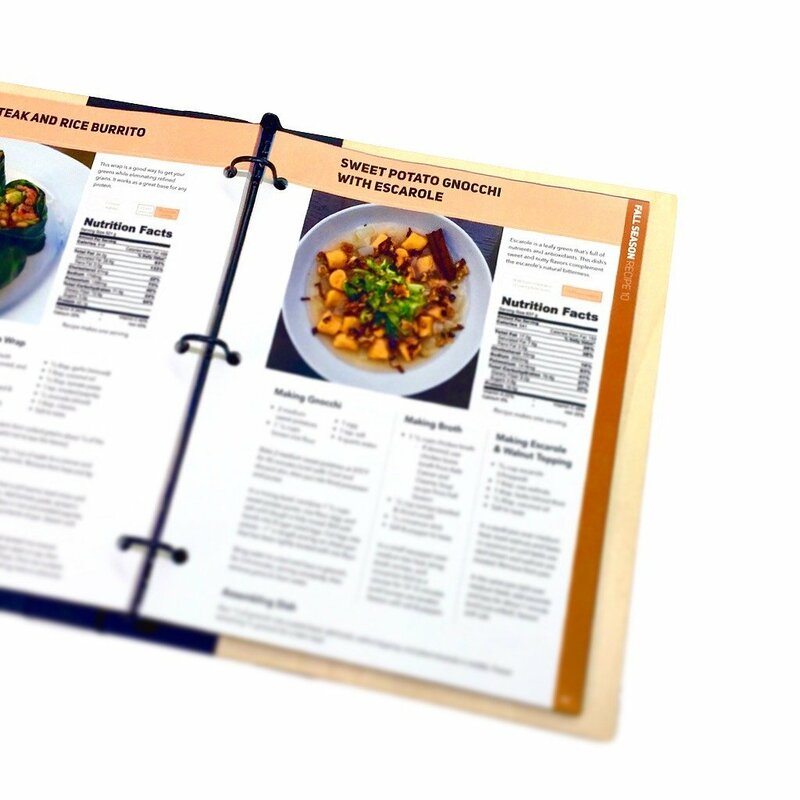 Yes, there actually is a Tom Brady nutrition manual. 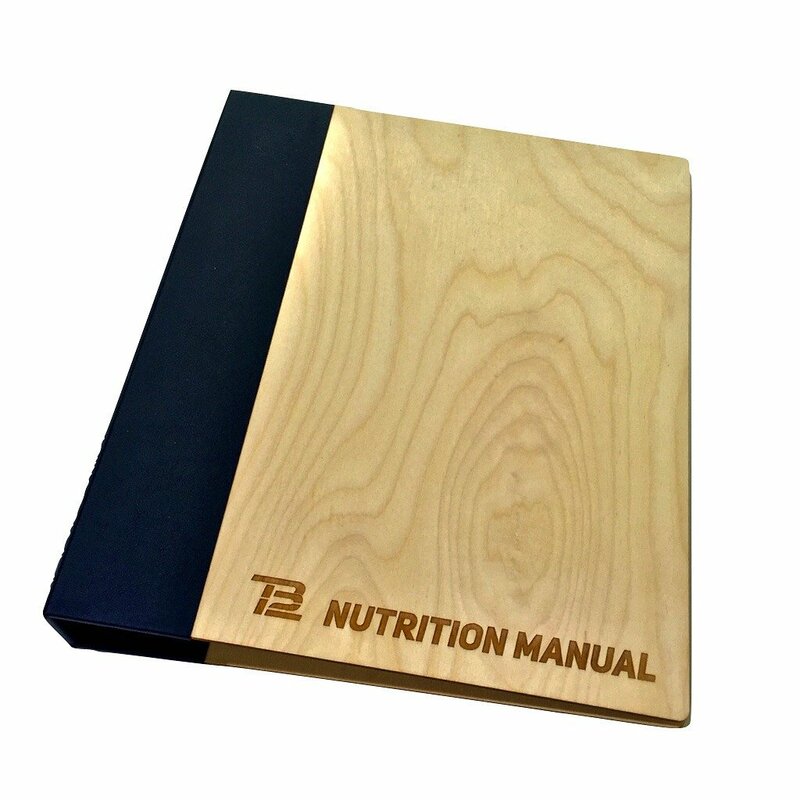 It’s called the TB12 Nutrition Manual and as Brady says, “It’s not a cookbook!” It’s a $200 binder stuffed with Brady’s nutritional philosophies, plus 89 recipes that support them. Why does it cost so much? Because it’s a “living document.” That means as Brady’s personal chef invents new dishes for Tom and Gisele, the manual will expand. Put that way, it’s more like a subscription to Brady’s ongoing quest for nutritional excellence. For anyone who wants to follow the Tom Brady nutrition plan by the book, this is the one to get. It’s available only from his TB12 Store and currently sold out, but devotees can pre-order it here. One Green Planet: This weekly plant-based meal plan offers several menus, from a kids menu to a whole foods option, plus menus for athletes and body-builders. The plans are entirely vegan (no animal products) but meat can be added. ConsciousCleanse.com: Dozens of 80/20 recipes that fit the Tom Brady food plan. Paleo 80/20: This site displays two-dozen healthy recipes from broccoli bites to a paleo Asian stir fry. The Healthy Chef: An online cookbook packed with recipes for entrees, soups, salads, desserts, snacks and more that fit a plant-based diet. The Best 30-Minute Recipe: 300 fast and flavorful recipes everyone will love. The Barefoot Contessa Cookbook: Recipes based on a specialty catering business in the Hamptons. The Gourmet Cookbook: More than 1,000 Recipes: The best of 50,000 recipes from Gourmet magazine. I’m Just Here for the Food: Alton Brown’s entertaining, healthy cookbook. Also check out the Forks Over Knives 80/20 Primer here. Breakfast: Smoothie with almond milk, a scoop of protein, seeds, nuts and a banana. Brady also sells a selection of his healthy snacks online. Hungry for more? 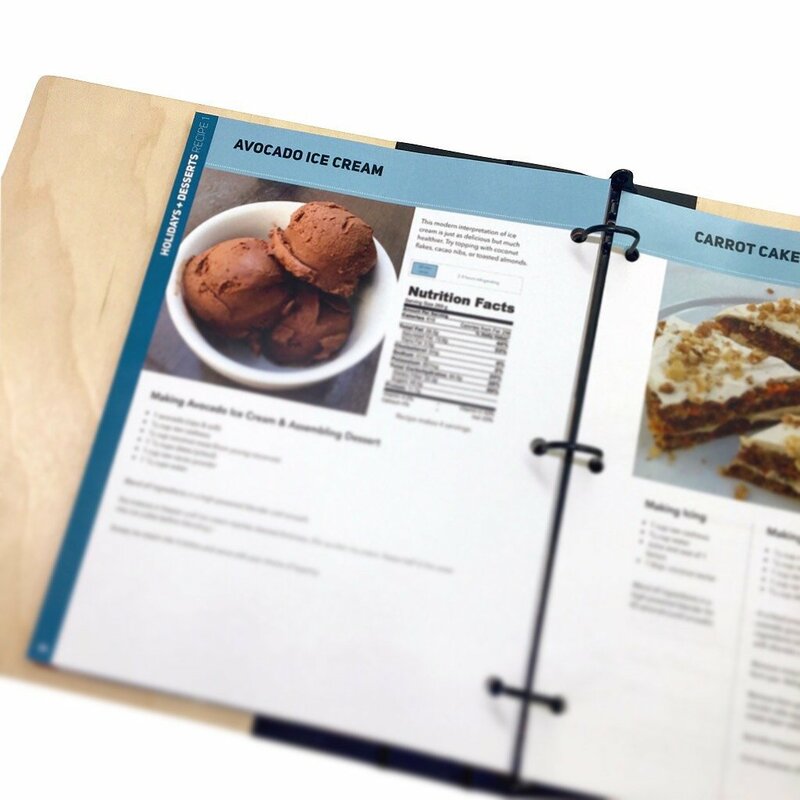 A Reddit user posted the ice cream recipe below straight from the TB12 Nutrition Manual. Brady doesn’t eat any dairy. How then can he eat ice cream? Well, this ice cream is made from avocados. Sound like frozen guacamole? According to some Reddit guinea pigs it’s actually pretty good. The recipe blends one avocado, a half cup raw cashews, half cup coconut meat, a cup and a half of dates and a cup of raw cacao powder. It also adds 1 1/4 cups of water. Just blend, freeze and serve. One comment about this dish on Reddit is that it uses too much cacao powder. Cacao is high in caffeine though, which Brady avoids. Should we tell him? Nahhhh. Instead, let’s check out some Tom Brady eating facts below. In 2008 Brady sustained an injury that should’ve been a career-ender. The QB was carried off the field in a game against Kansas City, his knee crushed, his ACL torn. A subsequent staph infection left him bedridden, dependent on IV antibiotics. A short time later his own doctor said he’d never seen anything quite like Brady’s recovery. More recently Brady told a local radio station, “I had doctors with the highest and best education in our country tell us — tell me — that I wouldn’t be able to play football again, that I would need multiple surgeries on my knee from my staph infection, that I would need a new ACL, a new MCL, that I wouldn’t be able to play with my kids when I’m older. Of course I go back the next year and we win Comeback Player of the Year. I follow the next season and we win the MVP of the year.” Brady says a huge part of his quick recovery is down to his diet. A lot of Brady’s diet ideas come from the popular ketogenic diet. See our full guide for that right here. Here’s a hidden way to eat like Tom Brady: Watch videos by his chef about the plant-based diet. In the video below, Campbell presents a plant-based dinner demo. There’s no recipe involved, but it gives a good glimpse into the kind of food Campbell cooks for Tom and Gisele. Campbell makes good use of greens, fresh veggies, root vegetables and spices. Also visible is a stew made with chick peas, carrots and other vegetables and a sweet potato dish. There area also two other dinner demo videos on the chef’s channel. Anyone reading this far might wonder how Tom Brady could possibly do what he does on a diet that sounds like Yogi Bear’s nightmare. That’s okay because Brady doesn’t think much of the typical American diet either. He also called out Frosted Flakes as “not a food” and thinks cheeseburgers are a terrible idea. Think Brady is nuts? See what doctors say about the deadliness of hot dogs. Is Tom Brady’s Diet Coach a Quack? Brady learned most of his food philosophy from “quack” doctor Alex Guerrero. According to Boston.com, Guerrero was fined by the Federal Trade Commission for making illegal claims. Guerrero said a study of 200 terminally ill cancer patients showed 192 of them were still alive after eight years of using his “Supreme Greens” supplement. One problem: the study never existed. The FTC later banned Guerrero from making any health claims about Supreme Greens and from calling himself a doctor. Even so, teammate Julian Edelman likened Guerrero to Mr. Miyagi, and Brady credits the pseudo-doc with a huge part of his success. From Brady’s point of view, mainstream nutrition is quackery. 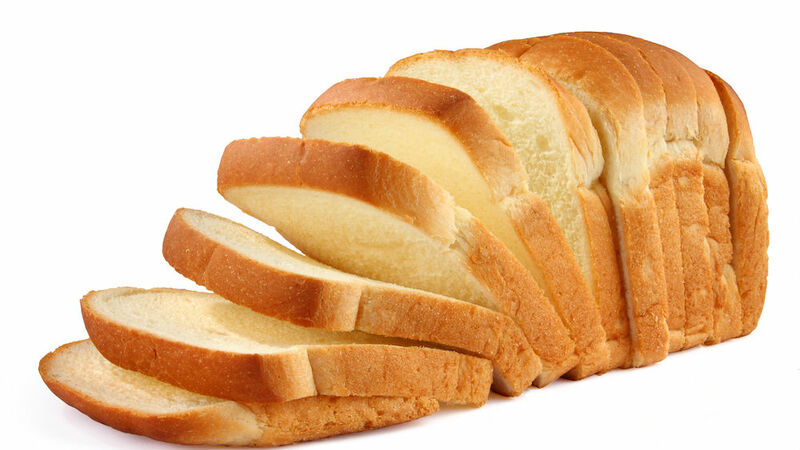 Why doesn’t Tom Brady eat bread, flour or anything with gluten in it? Isn’t pasta the mainstay of hard-driving athletes everywhere? After all, whole wheat is packed with essential nutrients like B-vitamins and minerals. It’s also thought to fight chronic inflammation and even obesity. Brady takes a supplement containing Spirulina, a.k.a. blue-green algae. Grown on the surface of ponds, it tastes like, well, pond scum. That said, it’s loaded with more protein than red meat and full of vitamins and minerals. According to LiveScience.com it’s also been shown to fight cancer and lower cholesterol. Brady also sells a protein powder supplement in his online store, plus an electrolyte supplement. See how to find the best spirulina supplement right here. “I’ve never eaten a strawberry in my life” is an oft-quoted Bradyism, but where does it come from? First, it’s entirely possible he was joking. Strawberries are stuffed with anti-oxidants and thought to have cancer-fighting properties. So why doesn’t Brady like them? According to Tom Brady’s personal chef, he largely avoids fruit. The tendency of most Americans is to overeat fruit, and overeating any food is bad. With too much fruit comes too much fructose, which again turns to fat. Even so, cutting out strawberries does seem a bit extreme. Caffeine is an addictive drug that results in withdrawal symptoms like headaches. It can also contribute to heart trouble according to Harvard Health. In that light, it’s not hard to see why Brady avoids the black brew. This way, his game will never get wrecked by someone slipping him a decaf. Looking to kick the coffee habit? See our full guide on coffee alternatives and strategies here. Cakes, pies, cookies, candy bars and pastries all have this in common: 1) They’re delicious and 2) Tom Brady shuns them. That’s because, while Brady does eat sugar in the foods he eats, he never touches refined sugar. Table sugar lacks vitamins, causes liver damage and contributes to high cholesterol. It also causes an energy-spike-and-crash pattern that can rob an athlete of pep at just the wrong moment. As statesman Ezra Taft Benson put it, Americans are overfed, undernourished and “digging our early graves with our teeth.” Benson avoided refined sugar also and lived to 105. See what science says about the health hazards of sugar here. The Tom Brady diet plan crosses off milk, cheese, butter and yogurt. (Sheesh, does he eat anything?) Notwithstanding the Dairy Board’s insistence that milk “does a body good,” Brady shuns it. Why? 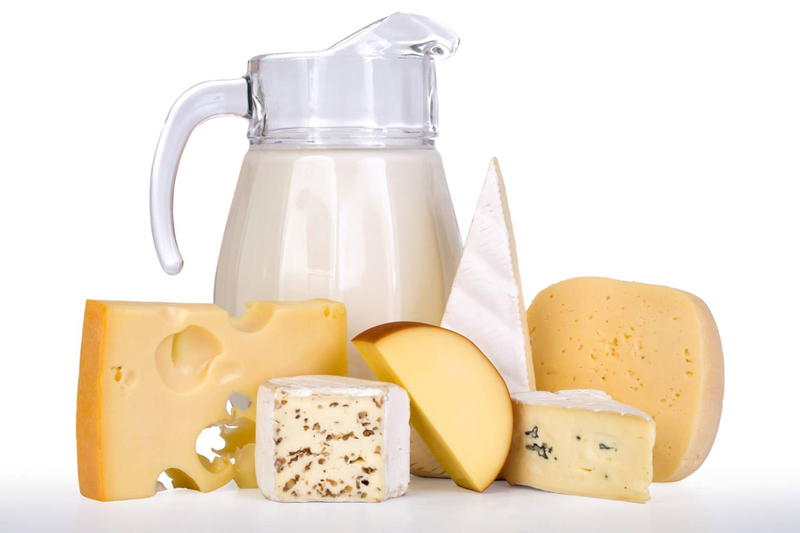 Milk is a great source of calcium and vitamin D among many other essential nutrients. Yet milk has also been linked to increased cancer risk, MS, heart disease and rapid aging. Is milk really bad for you? Find out right here. Most of us would expect a top NFL athlete to put away at least a couple sides of beef a day. Muscle after all is protein and meat is full of it. Yet Tom Brady’s 80/20 diet is mostly veggies with very little animal protein. The meat Brady and his wife Gisele do eat is mostly lean beef, chicken and occasionally duck or wild-caught salmon. Plenty of non-animal foods have as much protein as meat or more. Red meat is 17% to 40% protein, but chia seeds are 17%, soy protein is 80% and Brady’s spirulina supplement is 77%. Other high-protein foods include baker’s yeast at 38%, and nuts and beans at a lower but still respectable 9%. It may sound laughable that anyone who picks those foods over a steak could excel athletically. Just remember the five Super Bowl rings. Tom and Gisele’s chef says Brady eats mostly salmon when it comes to fish and it’s always wild-caught. Why the narrow sea-critter selection? Salmon is an oily fish, with high levels of heart-healthy omega-3 fatty acids. It’s also a relatively small fish. Why does size matter? Big fish eat lots and lots of smaller fish. That means they build up large reserves of the bad things that float around in our oceans like mercury and PCBs. Smaller fish eat less and therefore have lower concentrations of the nastiness that results from our pollution of the planet. As far as why Brady insists on wild-caught, that means the fish come from the deep blue sea rather than coastal fish farms, close to where we dump our wastes. Contrary to the conventional wisdom of carbo-loading the night before a big sporting event, Brady’s biggest meal is typically lunch. That’s according to Tom and Gisele’s vacation chef Joanne Gerrard Young. Dinner is much smaller. Why is that important? Per Livestrong.com, a bigger lunch and smaller dinner is backed by science. Shrinking your evening eating means less sugar in the blood stream during sleep, and that means less stored fat. It also means more energy during the day and less weight gain. Score another diet-plan point for Brady. 200 years ago, most Europeans believed tomatoes were poisonous. That’s because tomatoes, peppers and eggplants are all part of the same “nightshade” family as the highly poisonous plant Belladonna. 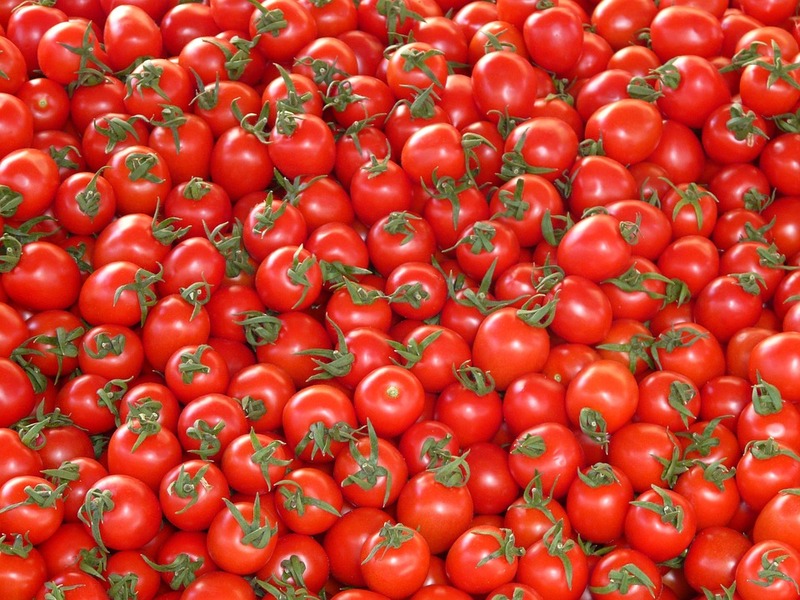 Beyond that, tomatoes actually do contain trace amounts of tomatine and atropine, both powerful poisons. You’d have to eat an awful lot of tomatoes to get atropine poisoning. Like, truckloads. But is any amount of poison good? Tom Brady avoids all foods from the tomato family but medical science disagrees with him. That’s because tomatoes also contain high levels of lycopene, an important nutrient proven to boost cardiovascular health and even cut cancer risk. Why Only Himalayan Pink Salt? Let’s face it, eating only Himalayan pink salt is enough to make anyone think Tom Brady’s nutrition sense has stepped over the out-of-bounds line into food la-la land. Once we dug into the science behind it however we had to admit he has a point. Regular table salt is iodized. That started back in the 1920s when people weren’t getting enough of this important nutrient and it was making them sick. Iodine isn’t the only thing added to salt at the factory though. The other is aluminum. It’s in there as an anti-caking agent and while it may be great for making car parts, aluminum is also a potent neurotoxin. It builds up in the brain over a lifetime and contributes to Alzheimer’s disease. Himalayan pink salt by contrast is packed with healthy minerals and has no aluminum. Score another victory for Brady. How many is that? We’ve lost count.